Do you have a list of changes you’d like to make to your home this year? Completing cosmetic updates is easiest when the weather’s in your favor. In honor of May’s National Home Improvement Month, here are four upgrades ranging from curb appeal projects to large-scale expansions that often yield high returns. Replacing doors and windows: Homeowners are often encouraged to consider projects that boost overall curb appeal. Swapping out a wooden front door for a steel model or replacing front-facing windows can pack more of an ROI punch than renovations made inside the home. 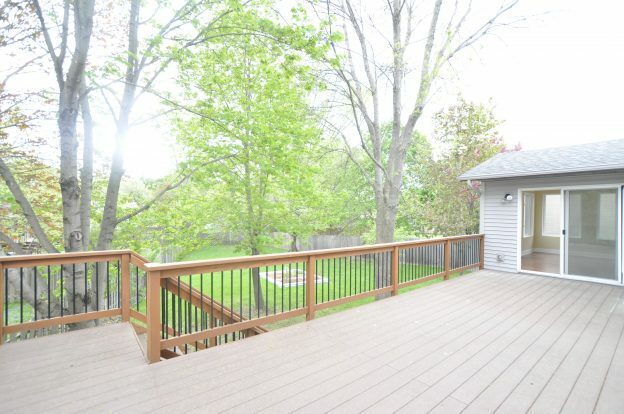 Constructing a deck: Create a beautiful transition from your back door to the outdoors by building a deck. The update turns into a major selling point that can recoup your initial investment when it’s time to move on. Adding insulation: Of all the projects listed in Remodeling magazine’s 2017 Cost vs. Value Report, adding loose-fill insulation to your attic is the only one with returns that exceed 100 percent of the cost. It can also help reduce year-round heating and cooling costs. Building a second-story addition: Even with a slight increase in construction costs, completing a significant two-story addition resulted in a substantial year-over-year increase in value from 2016 to 2017. Adding the extra space will likely catch the attention of buyers. Home renovations and repairs are on the rise and expected to peak this year. Now’s the time to start planning your investment-savvy home improvements. This entry was posted in Real Estate, Tips and Advice and tagged home remodeling on May 25, 2017 by admin. One analytics firm reviewed the word choices of a million listings that closed in 2016. Phrases like “open concept” and “natural light” closed more quickly, while listings with “ceramic tile” and “two story” stayed on the market longer. Analysts also found that four word pairs associated with quick closings included “fence” references, indicating that privacy may be a top priority for buyers. Capture potential buyers’ senses with your words, and try to paint a picture of what it would be like to live in the home. A claw-foot tub becomes a place of solace from the daily grind, and a large yard transforms into a buyer’s new outdoor respite. Need help? 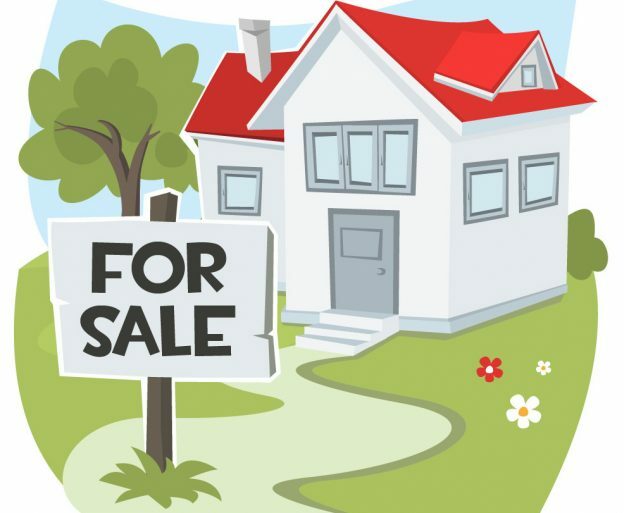 Consider enlisting a professional who is familiar with what’s selling to help write your listing. Don’t focus solely on basics such as square footage and the number of bathrooms. Instead, identify brands that will stand out from the competition. Everything’s fair game — from appliances to fixtures to interior designers or architects who helped with your last renovation. You can feel comfortable name-dropping here. The 2015 book “Zillow Talk” found that listings as long as 250 words tend to sell at higher prices. 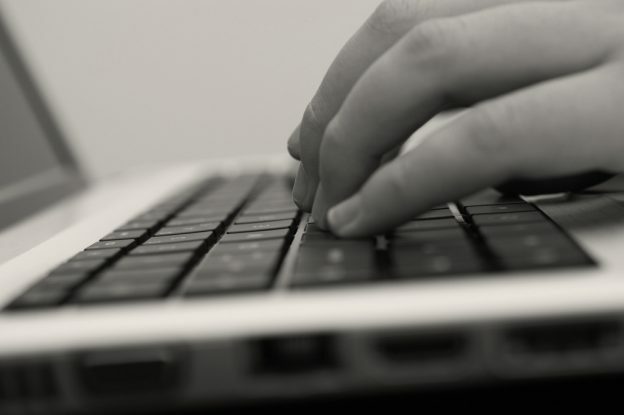 And to help grab a potential buyer’s eye, give particular attention to the first 10 words. Before putting your home on the market, take some time to craft a well-worded listing. A sale may hinge on it. This entry was posted in Real Estate, Tips and Advice and tagged Home Selling, listing, sell your home on April 27, 2017 by admin. It’s never too early to dream up your next vacation. Whether you’re interested in a fun, educational destination or you’re on the hunt for home inspiration, visiting these famous estates may pique your imagination. A tour through the Frank Lloyd Wright home and studio just outside of Chicago is like peering into the creative mind of one of America’s most iconic architects. Constructed in 1889 for $5,000, this Oak Park house served as the family home for Wright, his wife and their six kids. Bold, geometric shapes on the exterior and the interior’s high, barrel-vaulted ceiling make this visit a must for architecture enthusiasts. One home of Nobel Prize-winning author Ernest Hemingway is tucked away in the heart of Old Town in Key West, Florida. The estate boasts Spanish colonial architecture and lush grounds; however, the Hemingway home is also well-known for its current occupants. No less than 40 polydactyl (six-toed) cats, descendants of those owned by Hemingway himself, still live on-site. Get a historical perspective with a visit to Hildene, a 1905 Georgian Revival mansion in Manchester, Vermont, that belonged to Robert Todd Lincoln, the son of Abraham and Mary Todd Lincoln. Guests can take year-round tours of the home’s 24-room interior, stroll down approximately 12 miles of walking trails and visit the working farm. 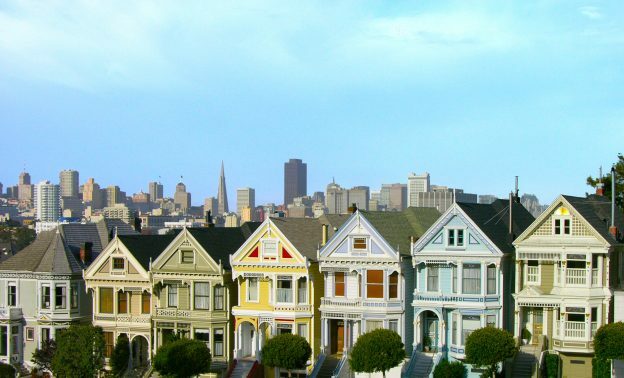 Popularized by more than 70 feature films and television shows, including “Full House,” San Francisco’s Painted Ladies are a staple of the city’s skyline. This row of quintessential Victorian homes, also known as the Seven Sisters, ascends one of the city’s hilly neighborhoods. Snap a gorgeous photo from the famous Alamo Square Park across the street. This entry was posted in Celebrities, National Treasures, Real Estate and tagged Celebrity homes, estate, Tourist, Vacation on April 13, 2017 by admin. It’s no coincidence that RNR also stands for “Rock ‘N Roll” … because we think all of our agents are rock stars! Each month we will feature one of our team members to find out more about them and why they joined the biz. Next up is Lasha Raddatz, a 16-year veteran agent who loves working with first time homebuyers! Q: How long have you been in the business? A: First time buyers are my favorite demographic to work with. It’s such an exciting time for these families – we always have a blast! Q: What is your dream home or favorite house style? A: Lofts. Think exposed brick, concrete, floor-to-ceiling windows. Preferably on a beach. Q: What is your favorite thing about living in the Twin Cities? A: The music scene. I love all the live music here! Q: What would you say is the Twin Cities’ best kept secret? A: The band, MPLS. However, Jesse Larson from that band is now on The Voice and she is killing it! A: Traveling! It’s my oxygen. A: Jekkyl Island in Georgia. Q: Do you have any hidden talents? A: I am a great dancer and used to dance for a local hip hop group, The School of Thought. A: Home is where the heart is. A: Real estate is my passion! It’s where I’ve met the most amazing people and had the most freedom to do what I love! 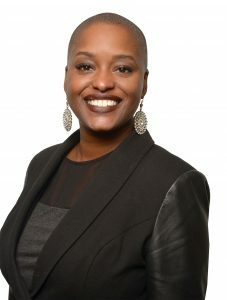 If you want Lasha to be a part of your Rock Star Home Buying or Home Selling team, contact her at lasha.r@rnrrealty.com! This entry was posted in Real Estate, Real Estate Rock Stars and tagged First-Time Home Buyers, homebuying, Minneapolis, Real Estate Agent, twin cities on April 4, 2017 by admin. Spring has sprung, which means the housing market is in full bloom. Each year, roughly 40 percent of real estate transactions occur between the months of May and August. If you’re feeling inspired to buy or sell a home soon, make sure you’re prepared. Use these checklists to catch anything you may have missed. Calculate what you can afford. Use a home affordability calculator to make sure you’re ready for the mortgage payments. Check your credit score, and fix any inaccuracies you discover ASAP. Errors can impact your ability to get a good interest rate. Save up for a down payment. Most lenders require 5 to 20 percent, and larger down payments can lower the amount you pay each month. Be ready for additional closing costs. Plan to have approximately 4 percent of the home’s purchase price on hand to cover taxes, fees and other necessary charges. Re-evaluate your insurance coverage and update all of your policies, including life and car insurance. Declutter, clean and get your home ready to show. You only have one chance to make a first impression. Take inventory of what needs to be fixed and make a schedule to complete any updates, such as roof work, new paint or landscaping. Decide on an appropriate selling price. Pulling comps in your area can give you a better idea of your home’s value. Or click here to request a free, personalized home value report! This entry was posted in Real Estate, Tips and Advice and tagged affordability, CMA, credit score, declutter, down payment, home buying, Home Selling, home value, insurance, inventory, mortgage, spring market, staging on March 30, 2017 by admin. It’s no coincidence that RNR also stands for “Rock ‘N Roll” … because we think all of our agents are rock stars! Each month we will feature one of our team members to find out more about them and why they joined the biz. 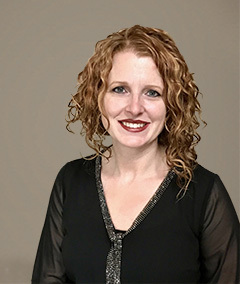 First up is Jen Kilzer, a rookie agent who is more than ready to help you achieve your home buying and selling dreams! A: I am new to the business; I entered into the real estate world in 2016. A: I work with residential home buyers, especially people trying to establish themselves a bit later in life or re-establish themselves after life changing events, such as divorce. A: I grew up in Richfield and returned there as an adult for 10 years. I currently reside in South Minneapolis. Q: Why did you decide to become a real estate agent? A: I have always had a passion for real estate and I’ve spent many years stalking homes on the internet, so I thought it was a good idea to take my passion for helping people and combine that with my love of housing and turn it into my second career. A: I really like townhouse living – I enjoy having more free-time by not having to do yard work and snow removal. As far as my dream home, I would choose a home with a view, preferably of a body of water. I like wide-open concepts and great views. Q: What is your number one real estate tip? A: I think the advice I give most frequently is that you don’t have to keep up with the Joneses – the Joneses may not be that happy. We need to find a home that best fits your family and your lifestyle. We want it to be nice but we also want it to fit your budget, so that you can be happy every day that you are in this home. A: There are so many things I love about the Twin Cities. Our schools are great. It’s a wonderful place to raise a family, and there are also great neighborhoods for young adults with no children. We have a lot of variety here, from things to do to the drastic season changes. I love it all! A: I think the best kept secret would be the local theater/art talent that we have here. We also have a ton of amazing neighborhood restaurants that you might not expect to find in their locations, and then to top it off the food is fabulous. Q: What is your favorite sports team? A: My favorite sport is basketball and our MN Lynx are pretty amazing! If you want Jen to be a part of your Rock Star Home Buying or Home Selling team, contact her at jen.k@rnrrealty.com! This entry was posted in Real Estate, Real Estate Rock Stars on March 6, 2017 by admin. Just because you can buy and sell property on your own, it doesn’t mean you should. Real estate agents remain essential when making these pivotal financial transactions. Handle the technical nuances — Whether you’re the buyer or the seller, a home sale includes a dizzying amount of paperwork. Skilled agents know how to fill out what documents and when, saving you time and helping you avoid mistakes. Speak the lingo — The industry uses an astonishing number of acronyms. Working with a real estate agent gives you the opportunity to better understand the conversation. Can negotiate without emotion — It’s easy to get triggered when a potential buyer picks apart your home. Let the agent handle criticisms or requests that could set you off or scare away an interested party. Help you look beyond the property’s walls — Agents have expertise beyond the sale, including insight on everything from utilities to neighborhoods to quality schools. 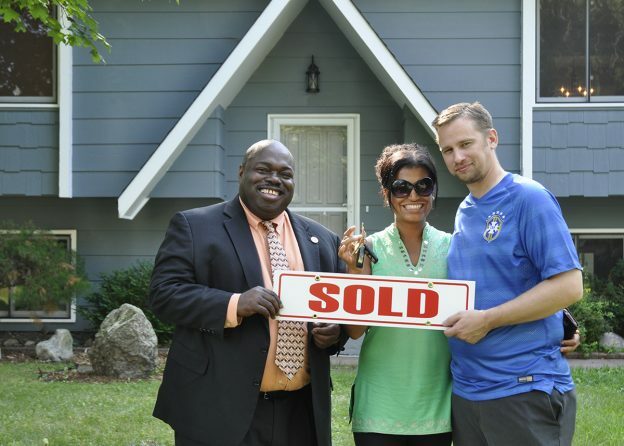 Are well connected — It takes a village to complete a home sale. Whether you need a trustworthy home inspector, an efficient mortgage broker or a creative interior designer, turn to your agent for credible recommendations. Keep up with the most recent laws and regulations — You may only complete a few real estate deals in your lifetime, whereas an agent often signs off on several each year. Experienced real estate agents know as soon as something in the industry changes and can save you from a liability headache. Whether your aim is to net money from the sale of your home or spend wisely on a new one, a real estate agent has your best interests in mind and can make the process as seamless as possible. This entry was posted in Real Estate, Tips and Advice and tagged agent, broker, Home Selling, homebuyer, Real Estate on March 2, 2017 by admin. Are you considering making a major purchase, like buying a home, this year? If so, your credit score will likely come into play. An understanding of the basics can help you effectively monitor and manage it. Your credit score will usually range from 300 to 850. It’s derived from an algorithm that takes into account several factors, including payment history, the total debt owed and length of credit history. Lenders use this three-digit number to predict risk and the likelihood that you’ll repay your debt on time. 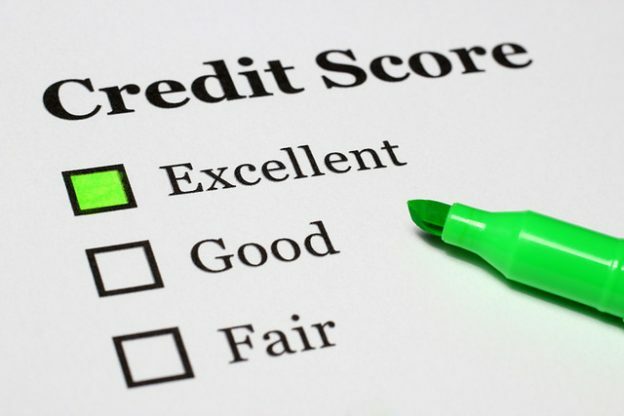 The higher your credit score, the less risk you are and the lower your loan terms will be. For example, a person with a “good” credit score of 700 may have a lower interest rate and smaller required down payment than someone with a “poor” credit score of 400. If you don’t have much credit history or you have a few negatives on your report, consider these strategies to increase your score. Pay all of your bills on time. Late payments can negatively impact your score. Pay off debt where you can. The less debt you have, the lower your debt-to-income ratio. Keep your credit card balances as low as possible, aiming to use no more than 30 percent of your available credit. And pay off as much as you can each month since higher balances can sink your score. Review your credit report at least annually, and keep an eye out for mistakes and identity theft. This entry was posted in Real Estate, Tips and Advice and tagged credit, credit repair, credit score, homebuying on January 26, 2017 by admin. 1. Prepare a detailed budget. Better option: Prepare a family budget that tallies your ongoing monthly bills for everything — credit cards, car and student loans, lunch at work, day care, date night, vacations, and savings. See what’s left over to spend on homeownership costs, like your mortgage, property taxes, insurance, maintenance, utilities, and community association fees, if applicable. 2. Factor in your downpayment. 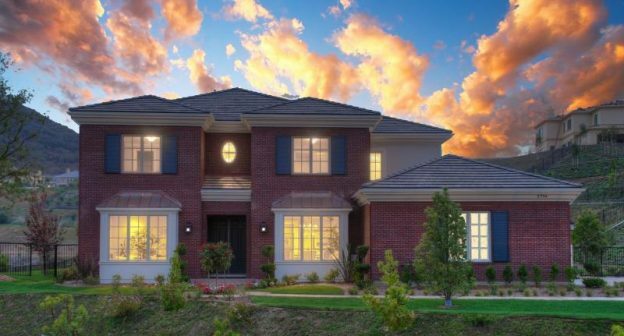 How much money do you have for a downpayment? The higher your downpayment, the lower your monthly payments will be. If you put down at least 20% of the home’s cost, you may not have to get private mortgage insurance, which protects the lender if you default and costs hundreds each month. 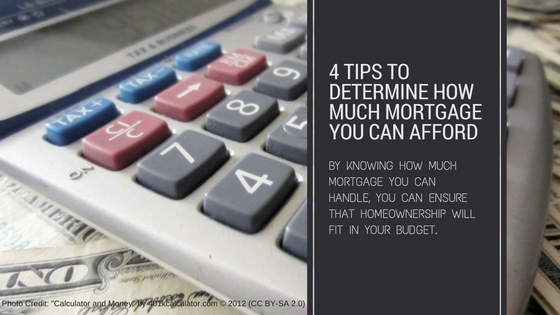 That leaves more money for your mortgage payment. 3. Consider your overall debt. 1. Your gross annual income is $100,000. 2. Multiply $100,000 by 43% to get $43,000 in annual income. 3. Divide $43,000 by 12 months to convert the annual 43% limit into a monthly upper limit of $3,583. 4. All your monthly bills including your potential mortgage can’t go above $3,583 per month. 4. Use your rent as a mortgage guide. The tax benefits of homeownership generally allow you to afford a mortgage payment — including taxes and insurance — of about one-third more than your current rent payment without changing your lifestyle. So you can multiply your current rent by 1.33 to arrive at a rough estimate of a mortgage payment. Here’s an example: If you currently pay $1,500 per month in rent, you should be able to comfortably afford a $2,000 monthly mortgage payment after factoring in the tax benefits of homeownership. However, if you’re struggling to keep up with your rent, buy a home that will give you the same payment rather than going up to a higher monthly payment. You’ll have additional costs for homeownership that your landlord now covers, like property taxes and repairs. If there’s no room in your budget for those extras, you could become financially stressed. This entry was posted in Real Estate, Reposts, Tips and Advice on August 4, 2016 by admin. Use plant deterrents. Thorny shrubs and bushes like holly or roses help thwart would-be burglars. Prune vegetation regularly. Unkempt hedges provide hiding spots where perpetrators can lurk. Trim the trees. Leave sufficient distance between tree branches and the roof or second-story windows to limit intruder access. Leave a clear line of sight to windows or doors. Blocking these views leaves your home more vulnerable to break-ins. Invest in accent lights. Illuminate your yard to eliminate potential hiding spots. Install additional lighting. Don’t just rely on the porch light. Consider adding motion-sensitive lighting to help ward off possible intruders. Put gravel beneath ground-floor windows. Burglars rely on silence; stepping on gravel can be a startling repellent. Protect the back door. Many thieves try this less obvious point of entry first. Replace solid privacy fences. Solid fencing helps intruders go undetected. Partial privacy fencing is a more secure option. Lock all gates. It seems obvious, but it’s still worth a mention. Keep front and back gates locked at all times. While pleasing to look at, landscaping does more than enhance your home’s outdoor aesthetic. Consider whether your current setup promotes security or makes your home appealing to thieves. Use these landscaping security tips to help prevent your home from becoming the target of a burglary. This entry was posted in Real Estate, Reposts, Tips and Advice and tagged home protection, home safety, home security, homeowners, Tips and advice on July 14, 2016 by admin.